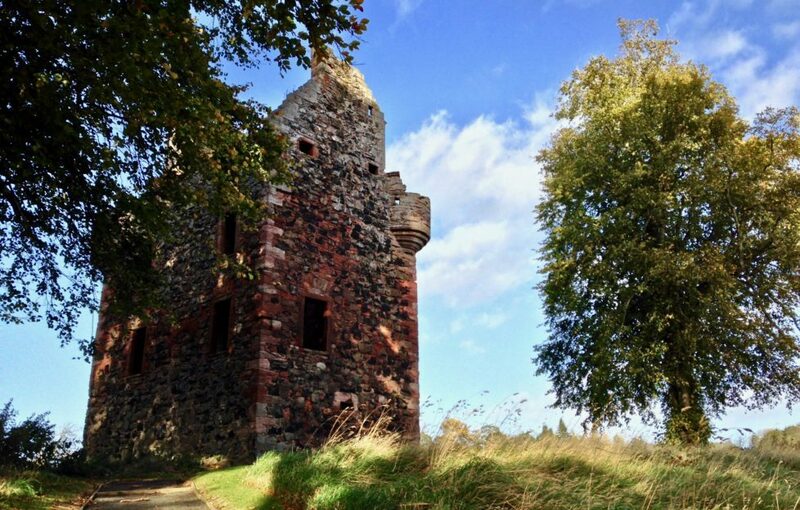 Home » Outdoor Scotland » What Is A Castle Anyway? Every kid could draw a simple castle if you asked them to, and my bet would be that you would find more similarities than differences in their depictions. Castles are such an intuitive part of our culture that it feels strange to step back and interrogate them, but since this blog is going to be talking about castles pretty much constantly that’s exactly what we’re going to do now. So, ask yourself, what is a castle? Certain things probably come to mind: towers, walls, gates, boiling oil, drawbridges, and all kinds of other nasty ways to really ruin someone’s day. Not all castles are equal, however, and if you asked ten castle experts you would likely get ten different interpretations. 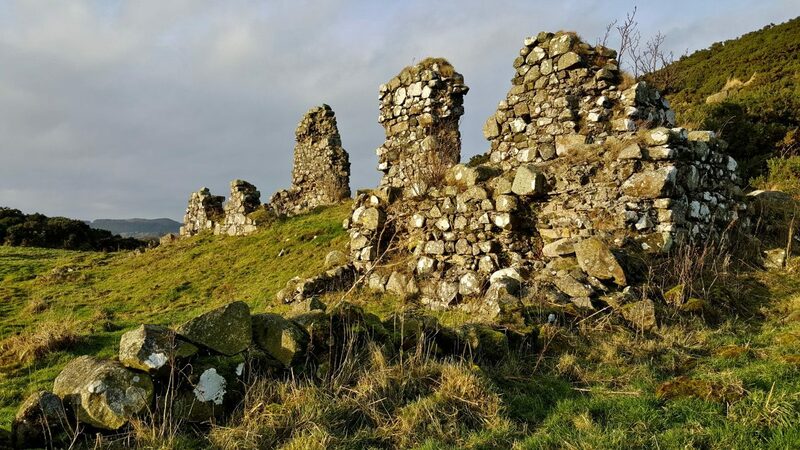 There’s no precise, universal definition of a castle, and there are a dizzying number of terms for different types in Scotland alone – from common ones like keeps and towers to barmkins and mottes. Depending on your definition of a castle you could say that there are anywhere from around 1,500 to over 4,000 castles in Scotland. That huge discrepancy boils down to a few big-picture questions you can ask if you find yourself wondering whether or not a place qualifies as a castle. These aren’t definitive rules, but when I set out on a castle hunt and wonder if it’s worth cycling ten miles off my intended trail to visit a site, I usually run it through a checklist. 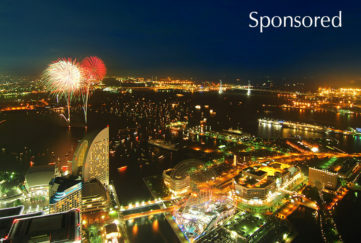 Question 1: When was it built? This is a deceptively difficult question. It’s important because castles belong to a specific time period, just like cars or dinosaurs. They popped up in the 11th century and many are still with us today. However, castles are a product of feudalism, and by the 17th century in Europe feudalism was giving way to the nation-state. Does that mean castles built after feudalism don’t count? What if the original medieval building is entirely covered up by more modern works? 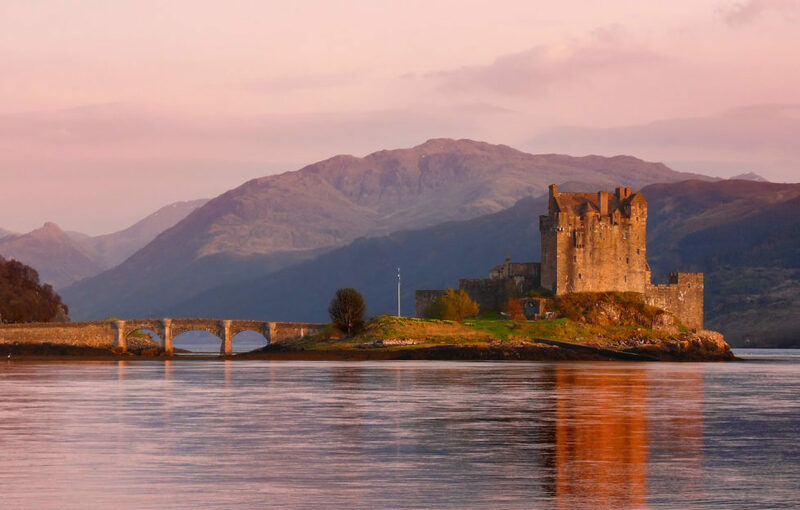 Somewhere like the world-famous Eilean Donan Castle makes an interesting case. The original castle was blown to smithereens during the abortive Jacobite Rising of 1719, and the iconic castle you see now is the result of reconstruction done between 1912 to 1932. 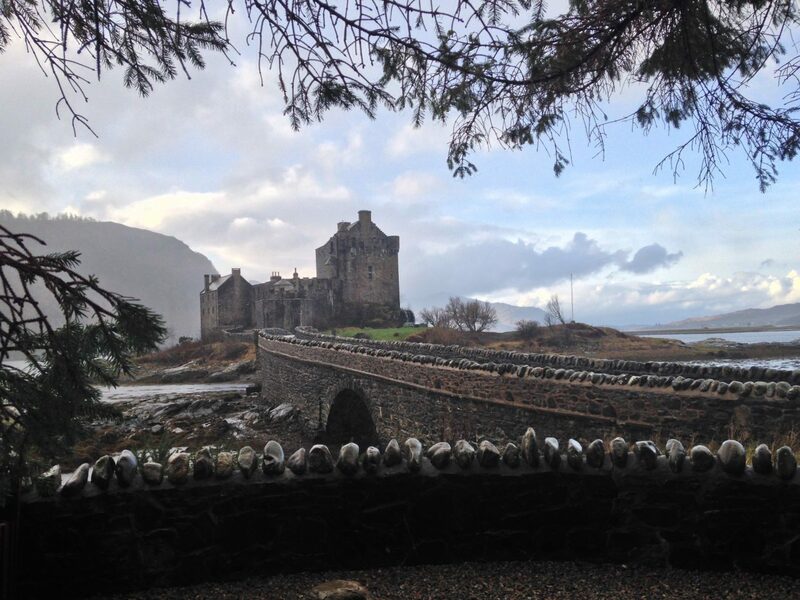 Eilean Donan Castle is world-famous, but much of it was reconstructed in the 20th century. Does that effect how we define it? There’s no easy answer to these questions. Question 2: Does it pass the SWAT team test? A castle is fundamentally two things, a residence for a laird, and a place that offers significant protection. If it’s only one or the other, that’s problematic. A grand building with no defensive features would be a palace, chateau or country house. Equally, a building that’s only for military and not domestic use is a fort. To narrow it down, I employ an entirely whimsical but hopefully helpful concept that I call the ‘SWAT team test’. Imagine a big house somewhere like Hollywood with a security gate. That may deter most small-time burglars, but if the armoured police need to get in it won’t even slow them down. Does the building in question pack enough of a punch to make a gang of well-armed men think twice? The Borders are a great place to see this principle in action. As I discussed in the earlier blog on the Bastions of the Borders, it’s a region that saw constant warfare. Dozens of towers such as Greenknowe or Whytbank dot the landscape, and while few could fight off a full-fledged army many could hold – for a time – against the bands of Reivers that stalked the hills and valleys. For most people, that’s good enough to include them in the castles family. Question 3: Is there anything left? For every romantic cliff-top tower that lures legions of Instagrammers there are five ruined castles with nothing left but a few moss-covered stones in the middle of a farmer’s field. Is there a cut-off point for calling something a castle when it’s all but disappeared? It’s admittedly hard to get excited about a place that used to have a castle but is now a supermarket car park, so castle hunters usually tack on ‘site of’ when describing such places. For me, every stone tells a story and even if only a few remain that’s enough to provoke the imagination. 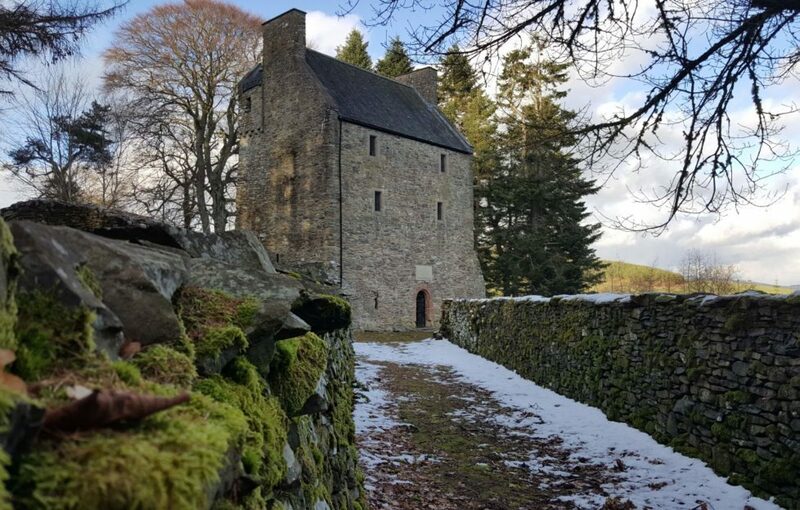 Places like Knockdavie Castle in Fife may not make it on to any Top 10 lists any time soon, but they’re still historically significant and, at least to history obsessives like me, well worth tracking down. Scotland’s castles, whether they’re little more than mounds of earth or sprawling citadels, are tangible links to the past and a source of inspiration for people both here and across the world. At the end of the day, what you choose to call them is largely subjective. 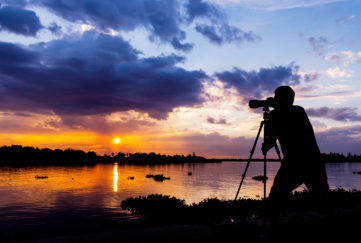 What matters is that you get out there and enjoy them. Knockdavie Castle. Not much to look at, but hugely historically significant.